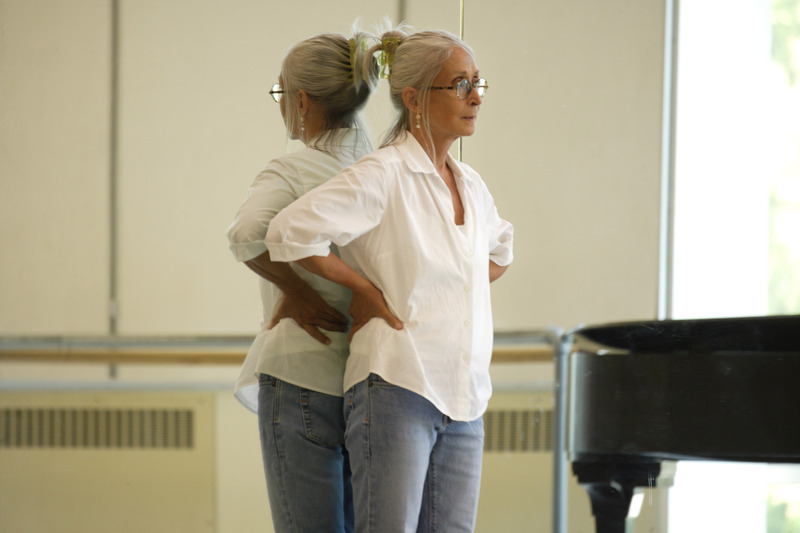 Twyla Tharp in the studio. Photo by Marc von Borstel. Twyla Tharp is coming back to Hubbard Street! It has been 15 years since she set her last piece on the company (I Remember Clifford) and was highlighted in their repertory with six other pieces. Ms. Tharp is known worldwide for her contributions in dance on the stage, Broadway and in film. In 2002, her award-winning dance musical Movin’ Out had its pre-Broadway run here in Chicago at the Shubert Theatre featuring former HSDC dancers Ron De Jesus and David Gomez. Tharp will create a brand new work on the company with a world premiere in the Fall Series at the Harris Theater next October (13-16). Tharp’s quote from the press release: “I look forward to working with the new dancers and creating, what I believe, will be a very special dance – one that will challenge me as well as them.” It will be interesting to see a new generation of HSDC dancers take on her personality and movement.